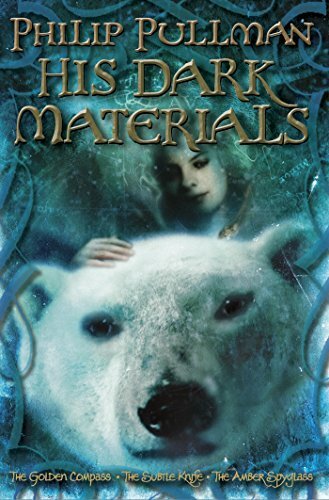 FOR THE FIRST time, all three books of Philip Pullman's award-winning His Dark Materials trilogy (The Golden Compass, The Subtle Knife, and The Amber Spyglass) will be published in their entirety in one volume. Perfect for both new and established Pullman fans who want to read (or reread) the whole trilogy before The Golden Compass movie debuts on December 7, 2007, this handsome 6 x 9 omnibus will feature every word of the trilogy as well as Philip Pullman's chapter opening art. Also, new and exclusive to this edition: Philip Pullman has written two pages of new vignettes for each book in the trilogy. Readers will be delighted to discover these intriguing new passages at the end of each book's section in the omnibus. TheRaven42 (Grade: A–) Very exciting, very engrossing. This is a story that stays with you. cassandra (Grade: A+) This will always be one of my comfort 'goto' books. One of the best books (trilogy) ever written. MotherOfDragons (Grade: A+) Re-reading, even better a second time round. Ignore that it is technically young adults. Has much movie potential if someone was willing to do justice to the books and tackle the religious themes presented. RemusLupin (Grade: A+) One of my favorite series of all time - gets even better upon rereading. Still waiting to see my daemon! atom warcock (Grade: A+) crap. i reviewed the first book before the omnibus. anyways, they're great.